Residents of the Pendão / Queluz neighbourhood, registering their ideas, in a participatory diagnostic session. 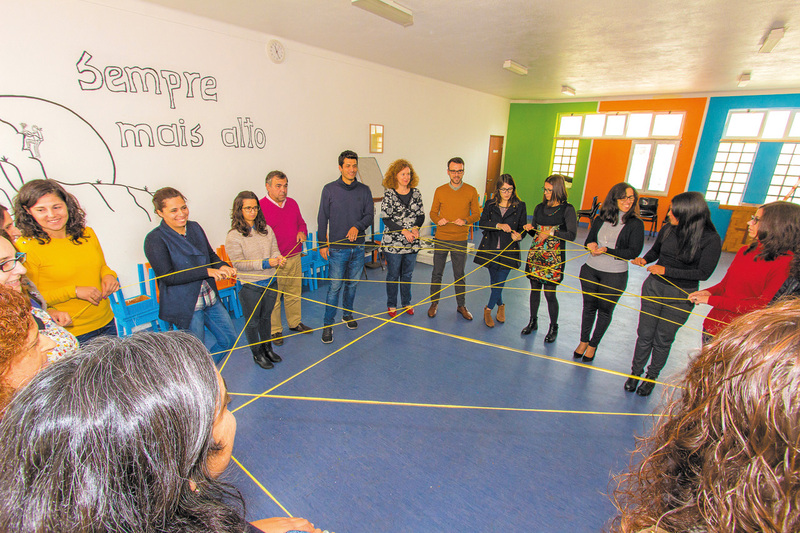 Group dynamics held at a partner meeting of the Sintra Employability Network, 2017. 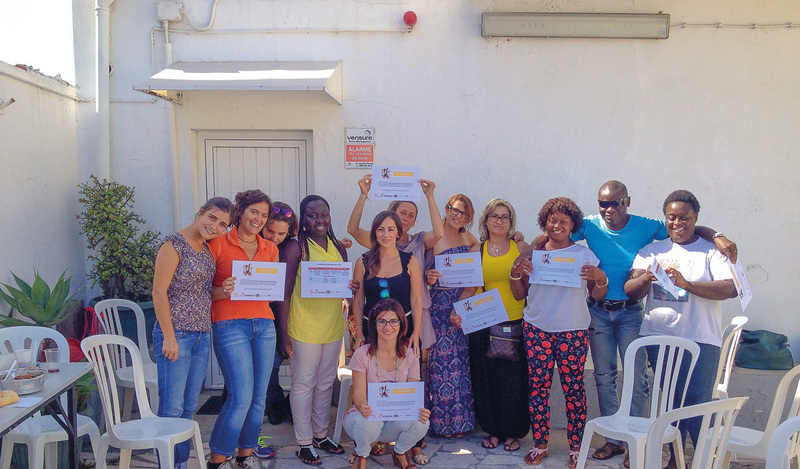 Graduates after the delivery of certificates in kitchen training, São Domingos de Rana Employability Group (currently GEMTE, Cascais), 2014. Attendance at a job support office at the CEPAC front office, member of RedEmprega Vale de Alcântara, 2015. 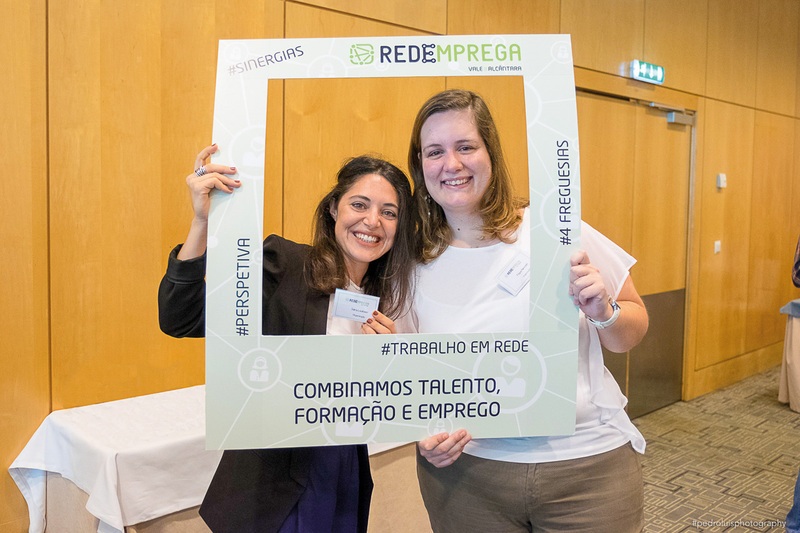 Partners of RedEmprega Vale de Alcântara, during the Fórum Empresas, 2017. The Aga Khan Foundation (AKF) works to improve the livelihoods of vulnerable populations, by contributing to economic integration and financial inclusion, while investing in people’s talents and potential, regardless of their individual characteristics. AKF seeks to strengthen employability networks by improving vocational training and job placement. To help build local economies that value cultural heritage, initiatives are in place to help create more micro-businesses, improve financial literacy, and increase access to services and commercial support. The focus is to support the development of the individual in all its dimensions: personal, social and professional. It is about guaranteeing quality, efficiency and effectiveness in the job market, greater income generation in a sustainable way, creating self-confidence, autonomy and skill sets that extend across various vocations. 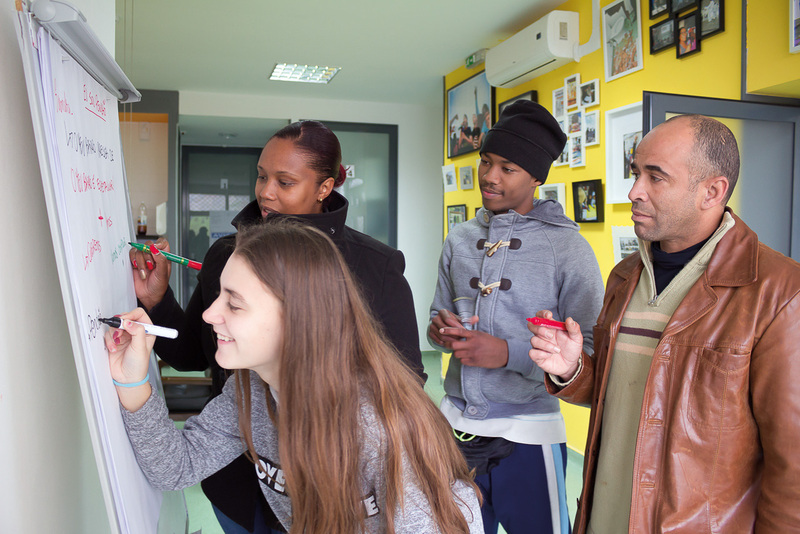 Employability Networks – The Employability Networks are an initiative led by K’CIDADE, the Foundation’s Urban Community Support Programme that has supported in recent years more than 10,000 people throughout Lisbon, Sintra and Oeiras, to secure better and long-term employment. It includes several initiatives that aim to promote employability, through concerted strategies among several partners, to align the demand and offer of employment, though activities such as follow-up of candidates, dissemination of opportunities, tailor-made training, and dissemination of inclusive practices.